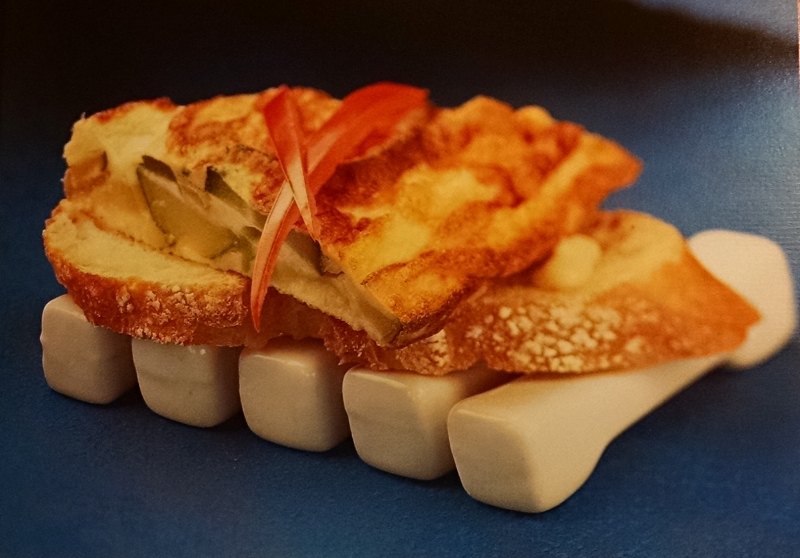 The food photography in this book is hilarious. 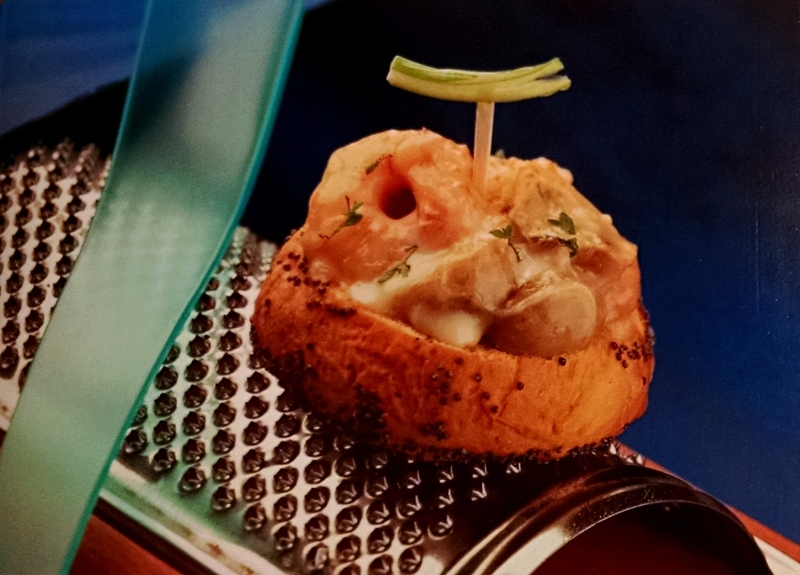 Yes, the correct way to serve this toast with mushrooms and shrimp is… balanced on top of a cheese grater. OF COURSE. I serve all my squash omelettes on top of five upside-down chopstick rests! Don’t you?